UDEM is the University of Monterrey in Nuevo León, Mexico. On the campus of the university is a Tadao Ando-designed building that houses the school of art, design, and architecture. 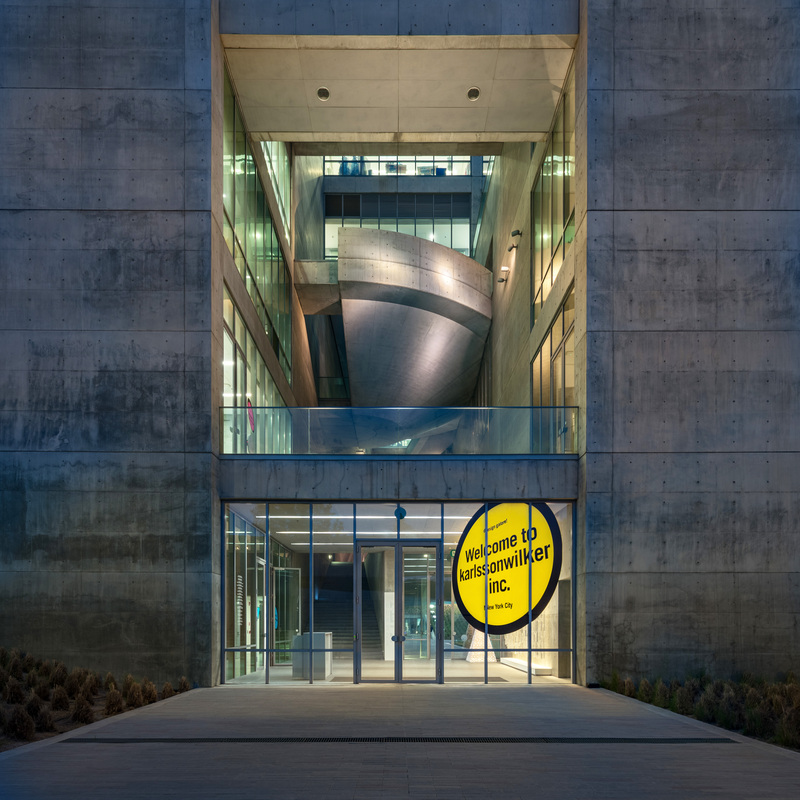 The Centro Roberto Garza Sada de Arte Arquitectura y Diseño invites a designer each year to fill its two gallery spaces. karlssonwilker was offered to set up a retrospective, which quickly morphed into a combination of past work and custom made pieces for the show. The exhibition design followed both the restrictions of the Tadao Ando building, and the decision to dedicate the majority of the overall exhibition budget to free giveaways. Using standard 4’ x 8’ panels of MDF, the wall space of both galleries was filled with a variety of work. Building on past exhibitions in Sweden and Iceland, a timeline of 17 years of our projects—and personal events—filled the first floor gallery walls. Piled at the center was a series of t-shirts designed for the occasion, the mount of shirts being replenished with a new design every two weeks. Similarly, the second floor gallery walls were filled with a series of illustrative posters featuring 12 creatures from Mexican myths and fairy tales (including one very contemporary species). Visitors were encouraged to take home a t-shirt and their favorite animal poster. We also created a collaborative piece—Un traje por Jaime Maussan—culminating in the display at the center of the second floor gallery. Jaime Maussan, an infamous Mexican ufologist, was selected as the recipient of a special gift: a custom-designed suit. Complete with boots, hat, and elaborately embroidered shirt, each piece was sent to designer friends in Mexico City and Monterrey. Using heat-pressed vinyl and spray paint to apply their designs, the suit tells little stories about Mr. Maussan and his precious aliens.